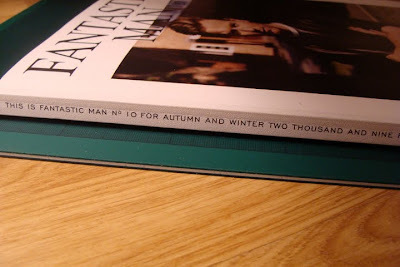 PUBLISHING - We were delighted to see the A/W09 issue of Fantastic Man hit the shelves this weekend. 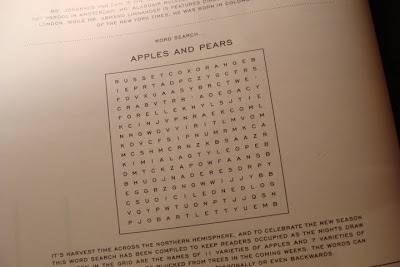 It doesn't disappoint with the usual blend of handsome layouts, intelligent colour palettes and witty writing. Of particular note was the extensive preview [or 'issue zero'] of Fantastic Man's much anticipated sister/girlfriend mag, The Gentlewoman - no doubt this will be a hit when it launches officially next spring, bringing some much needed quality to the women's market. 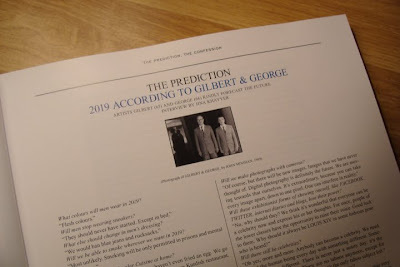 Also of enjoyment was the seasonal crossword, 'Utterly Unrecommended' [a scathing review of a cafe in Russell Square by James Anderson] and musings on how we will live in 2019 by Gilbert & George.